Home » Latest News » Sludge Blanket Monitoring Made Easy! At Partech we understand the need for simple, low cost methods for sludge blanket monitoring in a wide variety of settlement tanks. It its important to have reliable detection in order to de-sludge tanks at the most beneficial time, reducing costs and unnecessary work at a later stage in the cleaning process. 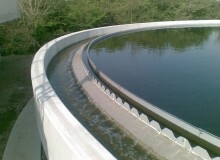 A sludge interface that is too high can result in pollution incidents caused by carry-over from a final settlement tank into the final effluent channel. The sludge can also become too thick to extract easily or can turn septic if left too long. If there is insufficient sludge in the tank the settlement process cannot operate correctly and the solids will tend to remain in suspension. This is where our portable SludgeWatch 715 blanket detector comes in – it provides a quick and easy check on the interface position without relying on operator judgement, it is designed to make it straightforward and cost effective to monitor sludge blanket levels in settlement tanks. 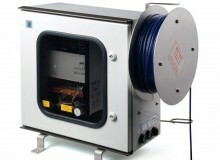 The instrument benefits from being light weight, compact and manageable, with a cable reel design. It uses a series of infrared sensors which help to detect the sludge present in the interface zone which is usually considerably thinner than the sludge present at the bottom of the settlement. This method has been deemed far more effective than other SludgeJudge style systems that can see the need to handle meters of tubing filled with contaminated wastewater. 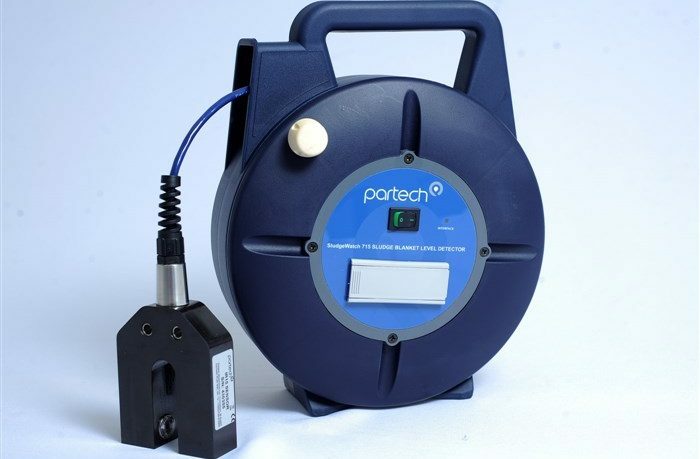 If you would like to know more about our innovative SludgeWatch 715 blanket detector or any of our portable or fixed installation monitors in our SludgeWatch range, you can contact our team of experts on 01726 879 800 who will provide you with solutions for efficiency and cost saving in sludge blanket monitoring. 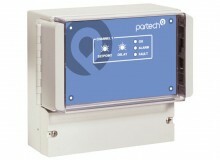 After nearly 50 years of development and working with Infrared light sources in Wastewater systems you can be assured that the Partech team understand your application!